Giselle Makhan: Happy Birthday, Blog! 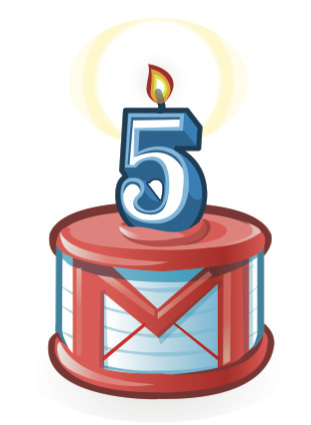 Today, my blog celebrates its 5th birthday! I don't think I've really acknowledged its past birthdays, but I think five years is a milestone. In my 3rd year of Journalism at university, I was having a casual chat with a friend/classmate, Carly Ritz. We were sitting at the Theater Cafe downstairs from the Journalism Department when we got onto the topic of blogging. On my way back to res, I kept thinking about our chat on blogs and thought I'd like to give it a try. So what if no one reads it? It'll motivate me to write...vent - whatever. And so this blog was born. I wrote my first blog post on Tuesday, September 27 2005. It was just a paragraph. I'm not quite sure what happened after that, but I didn't write another entry for the rest of the year. On Sunday, April 2 2006 I published my second blog entry titled Thinking of myself as a raced subject where I wrote about a particular assignment in my Journalism and Media Studies class. At the time, I was a columnist for a magazine, and every month I would email it to family and friends. Then I decided that I should publish my columns on my blog so that others could read and comment on them. For a while after that, life got in the way and I neglected my blog. So it sat in cyberspace collecting dust. My blog has heard (seen?) it all from me. I blogged when every imaginable emotion filled me - happiness, sadness, anger, disgust. I wrote about movies I watched, books I read, music I was listening to, my travels and life as a teacher living in a foreign country. I've written blogs choking back tears. When I hit Publish and sent it out there for the world to read my woes, I felt like a weight was lifted off my shoulders. One of my most popular blog posts which sparked a nerve with many people was written last year. I was at a staff dinner when something vicious roared through my body. You can read it here. That blog also opened up amazing friendships, with people emailing me commending me on how brave I was to be so open. My blog has been a constant friend. It listens to anything and everything I have to say. Does it talk back to me? Of course it does! It talks back in the form of reader's comments and e-mails. From that, I've met people from around the world and have learned so much from them sharing their experiences with me as well. Anyway, if you're reading this...thanks for stopping by!